​The Mr. Personality Festival took place in Kilkenny at the weekend. The festival was hosted by Kilkenny Macra and was sponsored by Kilkenny Carlow and District Farm Relief Services. 29 contestants from all over Ireland travelled to Kilkenny for a fun filled weekend where they were interviewed on stage, completed challenges and were interviewed by the three judges – Claire Brennan, Carmel Brennan and John Nolan. On Friday night the contestants were interviewed on stage by Shane O’Keeffe before dancing the night away to Hot Fuss and DJ. On Saturday there were contestant challenges where the 29 contestants battled it out in the alleys of KBowl. Mr Louth, TJ Mathews was the outright bowling winner. This was followed by lunch and then in the afternoon the individual interviews took place. Before commencement of the Informal Banquet, which was attended by over 300 people, each participant was presented with their memento of the weekend by George Collier, from Kilkenny Carlow and District Farm Relief Services. Speaking at the banquet Mr. Collier said that Kilkenny Carlow and District Farm Relief Services were delighted to be involved in such a successful festival and which continues to go from strength to strength. All three judges were in agreement that there was a very high standard of entrants and they had represented their club and county well and wished the winners well. The result was announced at 12 midnight on Saturday night with Anthony Culleton from Laois becoming the 13th Mr. Personality. In second place was Barry Walsh from Carbery/ Cork and third was Conor Keating from North Tipperary. Anthony was presented with €500 cheque, a perpetual trophy and a weekend break in Springhill Court Hotel. Barry received a trophy and a cheque for €300 and Conor received a trophy and €200. Mr. Personality 2018 Anthony is from the Camross and is a 32 year old Sawmill Operative. His hobbies and interests include football, hurling, rugby and going to the cinema. 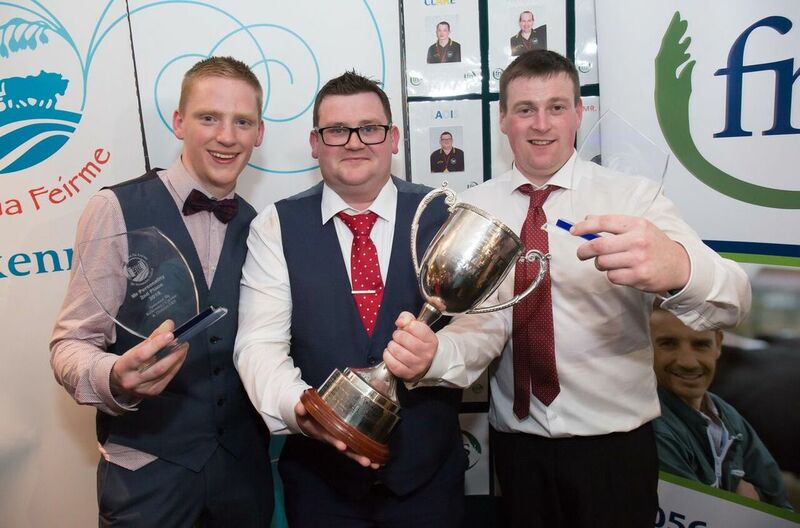 Barry Walsh from Ballinascarthy Macra (Carbery/ Cork) came second and he is a 23 year old farmer and Conor Keating Nenagh Macra (North Tipperary) who came third is a 28 year old farmer and construction worker.